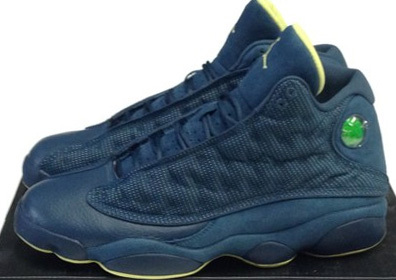 After this weekend's black and varsity red release, the next colorway of the Air Jordan 13 Retro comes in a new squadron blue, electric yellow and black. Check out the auction here. Featuring a squadron blue-based upper featuring a combination of leather, suede and mesh. Electric yellow accents the Jumpman on the tongue as well as the back of the tongue and, the outsole. 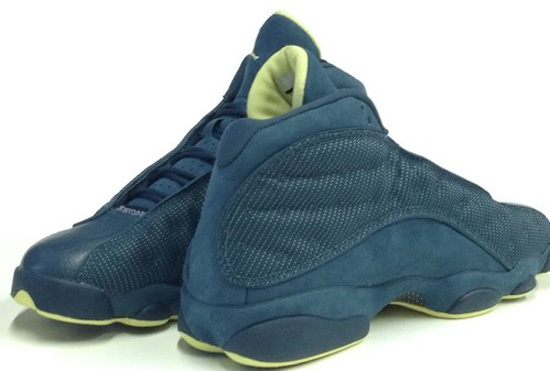 The first new colorway of the Air Jordan 13 Retro set to release in 2013. 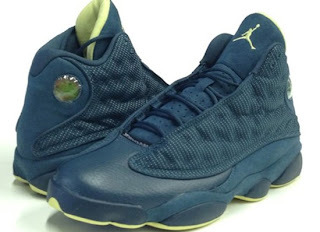 They will be a general release available at select Jordan Brand accounts worldwide on February 9th. Retail is set at $170 and, they will be available in full family sizing all the way down to toddlers. 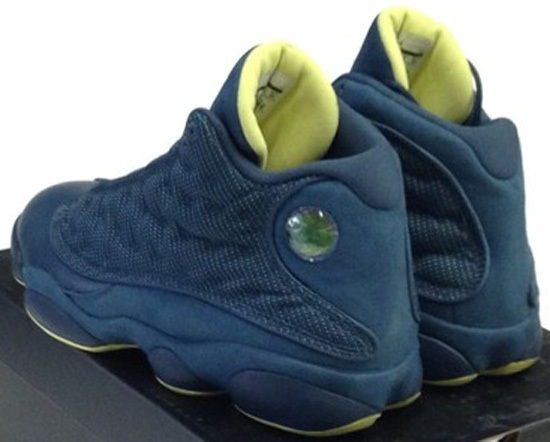 Check out the new images of the "Squadron Blue" Air Jordan 13 Retro below. 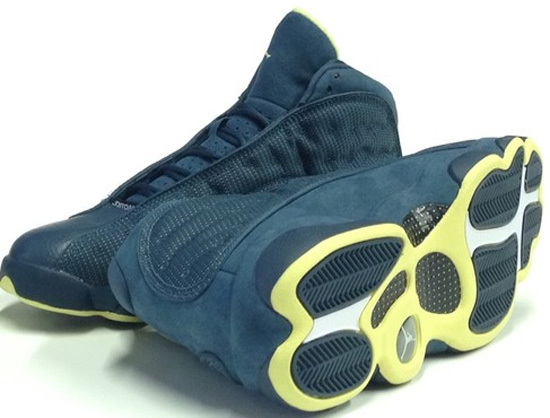 If you like this colorway, check in with your local spots to see if they will be receiving them in February. Those looking for a pair now, click here to buy them on eBay. 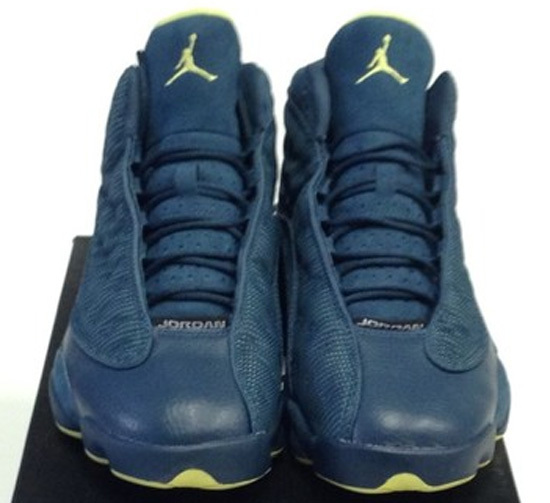 Visit the ajordanxi.com Web Store! Three colorways of the Nike Air Max '90 Hyperfuse, inspired by the red, white and blue. One of two colorways of the Air Jordan 12 Retro set to hit stores this weekend. The next round in the Nike Basketball "Elite" series is set to hit stores in April. The good news is, this one will not be a part of a pack. The latest colorway of the Air Jordan 8 Retro hits stores this weekend. Nike Air Max Plus II (2000) 604168-401 Midnight Navy/Black-Metallic Silver Looking for these? 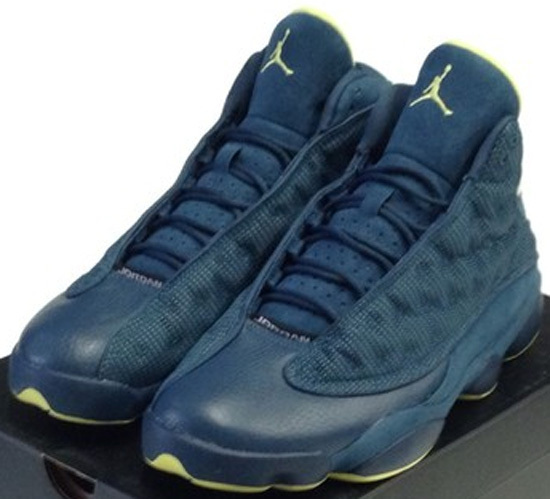 Grab a pair from eBay here. The latest colorway of the Air Jordan 1 Retro High OG hits stores this weekend. Nike Air Max Plus II (2000) 604168-071 Dark Charcoal/Dandel ion-Neutral Grey Looking for these? Grab a pair from eBay here. The latest colorway of the Air Jordan 6 Retro hits stores this weekend. The next Nike LeBron X EXT is set to release this month. © 2011-2016 ajordanxi. All Rights Reserved. Theme images by ajordanxi. Powered by Blogger.